The most enduring technologies are often the simplest, as well as the easiest to take for granted. Consider the humble book cart. It's basically a shelf on wheels. Yet for moving lots of books around, its efficient design would seem to offer little room for improvement. That is, unless you've ever tried maneuvering one across a floor of Duke stone. For some time now, staff in the Rubenstein Rare Book & Manuscript Library have struggled with a basic design problem. The same stone that gives Duke's campus its timeless Gothic charm turns out to make a bumpy road for books. 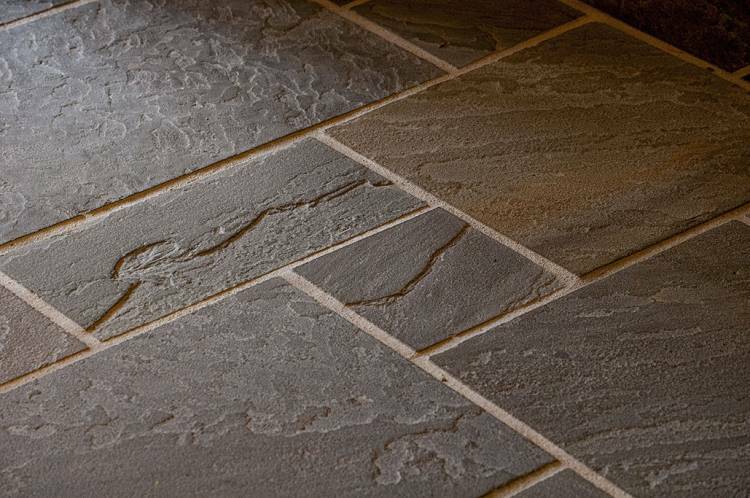 Its hard, uneven surface transforms a routine cruise down the hall with a cart full of books into a teeth-rattling steeplechase. This is especially problematic when the books on the move are rare, fragile and of inestimable value. And then there's the noise. A decibel meter recently clocked a rackety Rubenstein book cart at roughly the same volume as a lawnmower. Far be it from us to shush anybody. So what's a poor librarian to do? Rubenstein Research Services Archivist Trudi Abel recently turned to an unlikely source for help—Ann Saterbak, director of the new "First-Year Design" course at the Pratt School of Engineering. Each incoming class of Pratt undergrads is required to take "First Year Design." The course divides students into teams and matches them with "clients" around campus and the local community who have real-world design problems in need of solutions. In her proposal, Abel laid out the library's dilemma and challenged the future Duke engineers to devise a better book cart. Their new-and-improved cart had to meet strict criteria. It needed to be easy to use, capable of bearing 500-600 pounds, no more than 32 inches wide, audible only to the person operating it, durable enough to last ten years, and affordable at under a thousand dollars. And it should provide such a smooth ride that a book in transit wouldn't budge more than a single inch. Easy, right? The cart made its relatively noiseless debut to resounding appreciation by Rubenstein Library staff. Although it's too early to say whether the students' design can be produced at scale, it was a worthwhile learning opportunity all around. 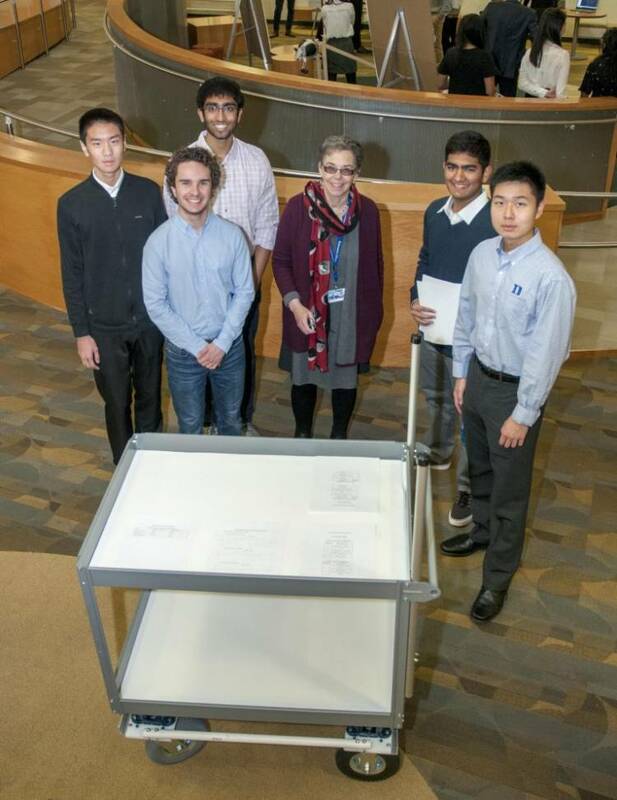 Library staff were impressed with the engineering students' elegant solution to a vexing problem, while several of the students admitted they had no idea Duke held such literary treasures. Indeed, they were surprised at the level of public access allowed. "You mean we have books worth $2 million," one of them said, "and anyone can just ask to see them?"